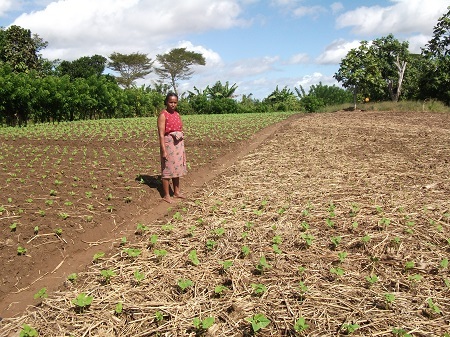 A paper entitled "Mainstreaming conservation agriculture in Malawi: Knowledge gaps and institutional barriers" is now available online in the Journal of Environmental Management. The paper highlights the ways in which conservation agriculture discourses play out at different levels of governance. It looks at the roles of different actors from both the government and non-government spheres, and how they affected the practice of conservation agriculture and the implications for sustainable land management. Dr Katharine Vincent is a co-author on the paper, which is is led by Professor Andy Dougill and colleagues at the University of Leeds, with Dr David Mkwambisi from Lilongwe University of Agriculture and Natural Resources. Dr Katharine Vincent was invited to participate in a workshop in Mozambique for a CDKN-funded project implemented by Dr Lindsay Stringer, Professor Andy Dougill, and Dr Jen Dyer from the School of Earth and Environment at Leeds University. 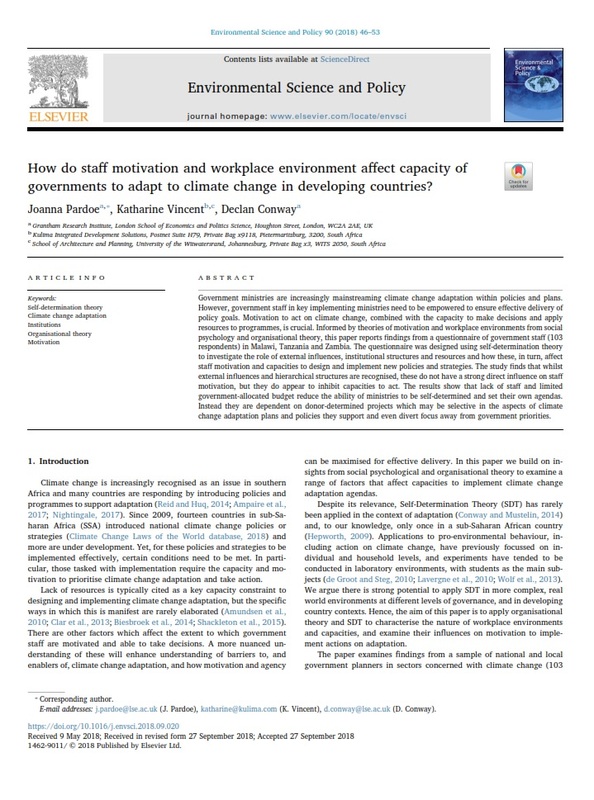 The purpose of the workshop was to share emerging findings from the project on assessing institutional and governance partnerships for climate-compatible development in sub-Saharan Africa. Representatives from the four project countries – Democratic Republic of Congo, Malawi, Mozambique and Zimbabwe were present. Kulima’s attendance was to identify synergies with our CDKN-funded project on the impacts of climate change on the health sector in Mozambique.